With September fast approaching, tastemakers are already over 2018 and looking toward next year. To kick things off, Behr just unveiled its Color of the Year for 2019, and you're about to see it everywhere. It's called Blueprint, and it's a deep, rich shade of blue described as "warmer than denim and softer than navy," in a press release. If you're looking to give your home a refresh in time for 2019, consider introducing this bold color or a similar dark blue hue into your home or even on its exterior. Evocative of "authenticity, confidence, and timelessness," according to the press release, it's a color that makes a statement while feeling warm and inviting. "This universally appealing hue provides a steady stream of positivity and is poised to be an instant classic for years to come," says Erika Woelfel, vice president of color and creative services at Behr. Along with its Color of the Year, Behr also revealed four accompanying 2019 trending color palettes to help décor savvy individuals bring the look to life in their homes. These include Color Binge, a range of blue, teal, and gray shades; Inspired Curation, a series of jewel tones like mauve, dark green, and gold; Down to Earth, comprised of taupe and terracotta hues; and Soft Focus, featuring powder blues, blush peaches, and lilacs primed to be the "new neutrals." Take a look at how you can use the Color of the Year in your home before everyone else catches on to the trend. 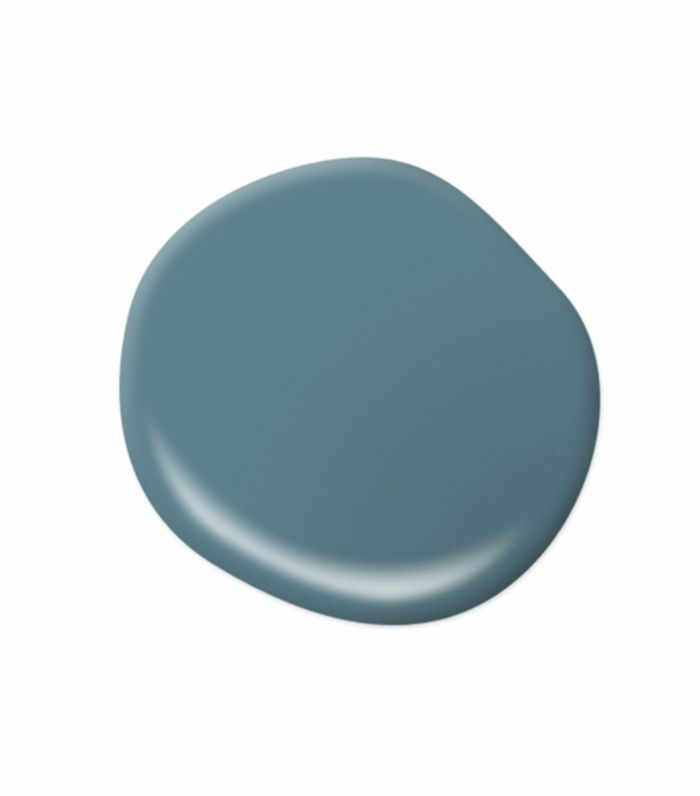 Make a statement by painting your front door this warm shade of blue. It's an inviting and unique look sure to make guests stop in their tracks. Play with varying shades of blue in the kitchen to get this look. Matching the walls with the island is a subtle way to the space together. Create a moody living room with this bold color choice. Far from neutral, it's a strong décor element that catches the eye. While many opt for lighter shades of paint in the bedroom, experiment with a deeper hue that will make the rest of your furnishings pop. This playful bathroom creates an ombré effect with varying shades of blue from light to dark for a fun, unexpected look. Play with dark shades of blue like Behr's Color of the Year Blueprint in your home to stay ahead of the trend. Head to Home Depot to pick up this trending paint color and start your next décor project today.